2) How can you “practice” love? 3) How do you practice love? 4) What are the inspirations to practice love? 5) How is love experienced? Love is an expression of affection. Affection is the desire to make someone happy and prosperous. Pure love is when that expression has no ulterior motive and is given top priority. Topmost pure love is when that pure love finds the topmost beloved, Krishna – who is the root of all other beloved things. Love can’t be manufactured. Nothing you do can “create” it, but you can do things to make your heart much more receptive to it, more capable of being an agent of it. This is done by emulating the expressions of love. By emulating something, it gradually becomes more than an emulation. We gradually get a feel for it. It becomes a feeling, not just an action. Our emulation has to gradually acquire more and more emotional content, more and more sincerity – that makes the heart fully receptive to love, and inspires the Goddess of Love, Sri Radha, to bless our hearts with her own presence. You should have a guide, someone who understands and exemplifies love. You should respect everyone and everything, lovingly. You should live in a place nearby or connected with the beloved – like Vṛndāvana. Or you should make the place you live into a place connected with the beloved. You should practice having a personal relationship with the beloved – by keeping an image of him and treating him like a person whom you can interact with, feeding him, etc. You should become close with others who also love the beloved. You should hear about the beloved in great detail – by studying Śrīmad Bhāgavatam very deeply and the explanations of it given by great lovers of Krishna. You should sing about the beloved. Especially, you should sing the name of the beloved. The inspiration to practice love may be your understanding that love is the most perfect law, the ultimate religion, the essence of all that is good. Additionally, the specific inspiration to practice love for Krishna is to understand that Krishna is the most perfect beloved, for he is the original person (the most fully qualified), and is the root of all other beloved things including one’s own self. Another inspiration may be the beauty of love itself. 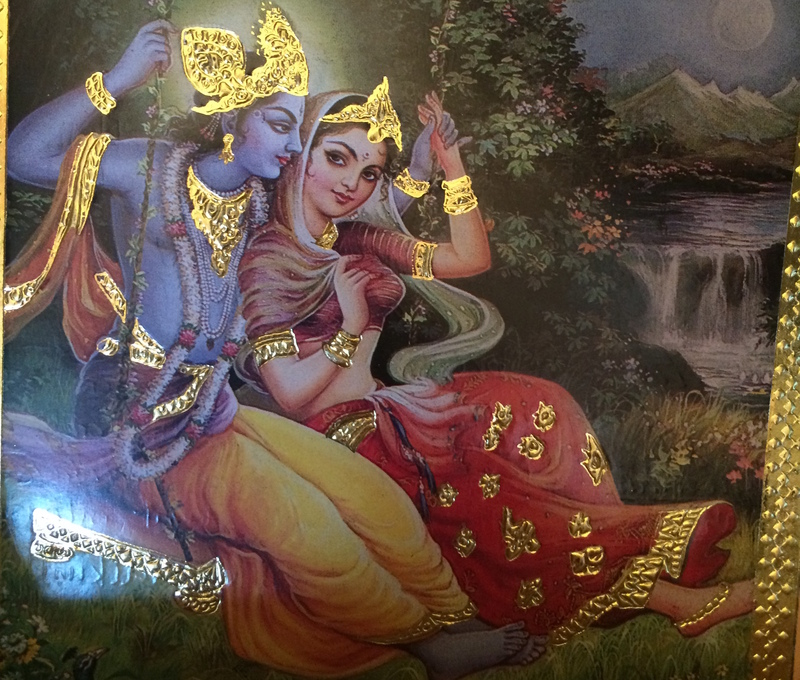 When we become attracted to the specific beauty of love for Krishna, our inspiration to practice it becomes very passionate, and all of our practices become focused by the specifics of that inspiration. The practice of love gradually purifies the practitioner from all things antithetical to it. Then it enters the purified core of your being like a divine Queen rising to her gentle and opulent throne. There it expands and consumes your entire being eternally in the thrilling bliss of an ecstatic divine love affair. The foundation of this ecstasy is the type of affectionate relationship you have with the beloved, Krishna. It may merely be a lack of any selfishness, or it may be a desire to actively serve him, or it may admit no boundaries to how it strives for doing so – taking on a friendly character. It may even take a protective flavor, like the affection of a parent for a child. It may even escalate to the pinnacle of all affectionate relationship – the absolute intimacy, protection, service, and selflessness found in unabashed romantic passion. The ecstasy of this divine relationship can be tasted when it is stimulated by the beloved or by things connected to the beloved, and then expressed in thoughtful and reflexive ways, and adorned with various thrilling emotions. The experience of the ecstasy of divine love is the supreme happiness, and therefore is the soul’s supreme aspiration, the ultimate goal of life. It fulfills our every want and need through its selfless absorption in the beloved, Sri Krishna.